Quinns: Paul and I are working on yet another B I G V I D E O for this Friday, but today we've got a little video featuring some very little people. Recently I was invited by SU&SD fan Annie Langley to give a presentation to her school kids aged 10-11 about being a YouTuber, since it's the job that most kids dream about. With a lot of help from my wife (who I can't thank enough for telling me to remove all the bar charts from my talk), I put together this 20 minute rundown of what my work is actually like. I know that a lot of SU&SD fans are parents, so I thought I'd chuck the talk online in case it's of interest. Honestly, I worry that very few YouTubers or Streamers talk about the technical or psychological stresses of this job, and I feel like the world would be a healthier place if there was a bit more of a conversation around it. Oh baby: SHUX ’18 tickets are now on sale! Quinns: Oh my goodness, here we go! Tickets are now on sale for SHUX 2018, Shut Up & Sit Down's second annual convention in October this year. 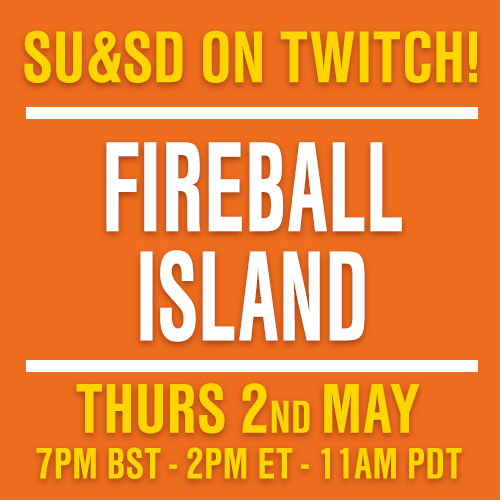 Would you like to meet team SU&SD at a fabulous, warm, profoundly silly three day gaming party? Well, now you can! Last year tickets sold out in just over a week, so this year we're moving to a substantially bigger venue that can contain even more SU&SD fans. Still, we'd recommend you book early to avoid disappointment. For an idea of what there is to do at SHUX, you can either watch the above video or click on that link. But most importantly, if you've never been to a board game convention before, that's perfect. SHUX will be designed with you foremost in mind. As a glimpse of the madness of last year's SHUX, below we've uploaded this late-nite Q&A with myself, Paul, Matt and RPG reviewer Cynthia Hornbeck. I'm not sure I've laughed that hard since! Quinns: Oh my goodness! With just Matt's Gloomhaven review and a year-end podcast to go, that's almost it for us this year. "But wait!" you cry. "I haven't had nearly enough Shut Up & Sit Down!" Then please, consider thanking us for the service we've been providing for more than six years with a donation. Anyone who signs up to donate in a given month will enter the prestigious SU&SD Gold Club, and members receive a monthly behind-the-scenes newsletter, discounts on merchandise and early access to ticket sales for SHUX, the SU&SD convention. Paul: This December's newsletter goes out in a week's time and it'll be a holiday special, containing our plans for 2018, a blooper reel and access to ALL previous newsletters! Thanks, everybody. We've had a great time putting together a year's worth of board game coverage for you guys. Who fancies another year? Merry Christmas from Team SU&SD. Six years ago SU&SD published a review of the grand, weird game of Twilight Imperium 3rd edition. Today, we present a first for the board game industry. Please enjoy our amateur attempt at a documentary on the history of the game - which is really the history of Fantasy Flight Games - and the development of the new, shiny, 4th edition. Huge thanks to our donors, without whom this project (which we started work on back in 2015!) would never, ever have been possible. As you buckle your seatbelt for this ride through time and outer space, please bear in mind that the doc doesn't cover the nitty-gritty of game mechanics that have changed from 3rd to 4th edition. We'll be covering that in our forthcoming review of Twilight Imperium 4th ed, which Quinns will be creating since he had almost no involvement in the doc. Instead, we tried to make the documentary of broader interest, so please consider sharing it with board game-curious friends. Or just tell your mum it's Netflix? That might work. Big news everyone! Fantasy Flight Games have just announced a new edition of their galaxy-sized flagship game, Twilight Imperium. Which means we can announce something of our own... ! Here at Shut Up & Sit Down we've been huge fans of Twilight Imperium since we reviewed the 3rd edition all those years ago. It's the grandest, silliest game that we know; an epic brawl featuring everything from capitalist cats to a race of sentient vegetables. So back in 2014 we got to talking with owner of Fantasy Flight and original designer of TI Christian Peterson, one thing led to another, and we agreed to document the process of making TI 4th edition. How do you go about making the grandest board game in the world even more grand? Find out later this month! Hello everybody! It's been 17 videos, 14 podcasts and 55 articles since we asked our audience for donations in (who could forget?) our Christmas advert. Today, we're once again asking you to give as much or as little as you can afford. Please, click here (or if you'd prefer, click the seductive, golden button in the upper-right) to join the thousands of people who've donated to SU&SD in the past, paying us to keep working, and to keep finding great games. The above video says it all, but two things bear repeating. First off, we're putting up two videos in the next two weeks to make up for starting the pledge drive today. And second, we really are confident that the next six months will be the greatest in the site's history. There is so much cool stuff coming up. 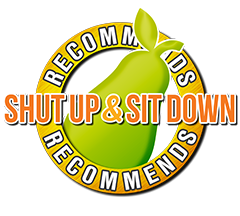 We hope you're having a great summer, and thanks for sticking with us for just over six years of Shut Up & Sit Down. The third talk from our V&A collection is a sneak preview of a new talk that Quinns is working on. OooOOOooh! A Feast of Friends is Quintin's overlong, years-late answer to the question everyone asked when he left the video games press for board games, which was "Isn't that a step down?" No, no it isn't. Board games are beautiful, important and have a glittering future, and this is why. Continuing our collection of talks filmed during the V&A's Board Game Study Day, here's 15 minutes from journalist and historian Holly Nielsen on the hilarious, horrifying history of British board games. Huge thanks to Holly for letting us host this talk. It's just too much fun. Next time you buy a game that's a little less than perfect, why pop this talk on? You'll feel very lucky about the state of your board game collection, we guarantee.